Yan.ng is a network for all Nigerians. The website has five well designed sections that give its users the best of community service. Yanfeed is one of the sections. At this section, users can register and share pictures, posts and comments. 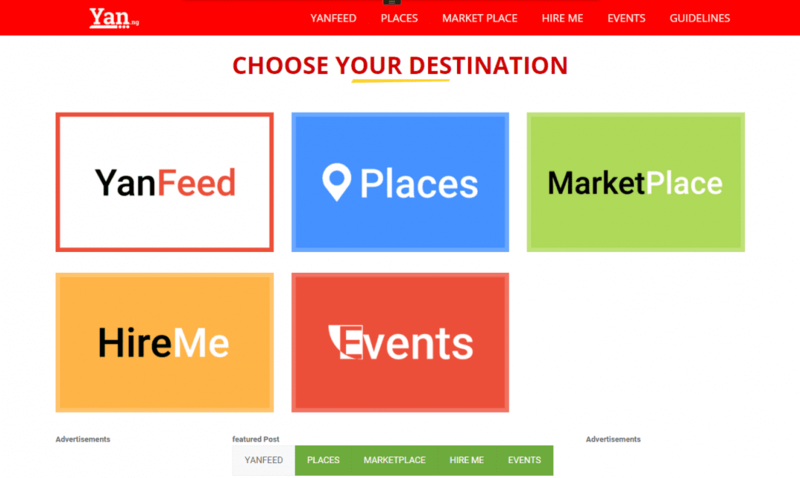 The other sections are Yan Places, Hireme which is a job fair that connects employers with employees, Marketplace that enable people sell their goods and services and finally Events, which enable people signup and post events.